Meet at 5769 N. Vancouver Avenue at 11 a.m. those days. 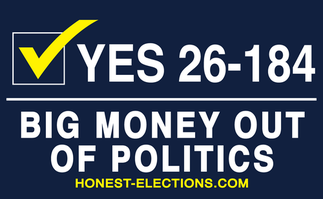 We want to put up 1,500 lawn signs on 62 busy streets. But we can’t do it without your help! We'll be sending out two people to a car to work a street. Join us and have some fun supporting a winning cause, popular with folks across the political spectrum. Bring a friend to go out with you. Training, literature and refreshments/light snacks provided before we hit the streets. Signs are in the driveway, under or next to the blue tarp. There is a clipboard for recording who took the signs and how many. Signs can be picked up any time. If no one is there, be sure to record what you took on the clipboard. Signs are just inside the gate (behind hedge) on Edgehill Pl side of the house. Signs will be on the porch. You can request that we deliver them to you.